For the Tom Baker era, this was the beginning of the end, with The Keeper of Traken being placed as Baker's penultimate story. But despite this being his penultimate story, Baker manages to remain on top form as the Fourth Doctor. He is witty, avuncular, intelligent, thoughtful and surprisingly gentle. Despite Baker's sometimes moody performance during his final series, I don't think there isn't a story where he still doesn't do anything other than a top-notch performance. He states that he doesn't know all the planets in the universe, he only visits the interesting ones. If he really did know everything, then where would the fun be? His chemistry between himself and the Keeper is fantastic, with him sympathising about the effects that time can have on the body, something which is fitting when you look back at the theme of entropy which season eighteen had running through it. But the Fourth Doctor isn't afraid to be a little rude either, just look at how sarcastic he is when Tremas doesn't want to give him the schematics for the Source Manipulator. You certainly wouldn't want to be in his way when he gets like that. As much as I may not like Adric, it is a little surprising that he suits being the companion for the Fourth Doctor at the end of his reign. 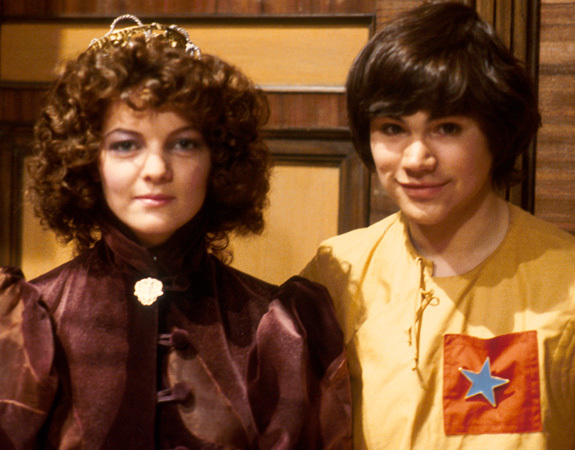 I think the real problem with Adric, apart from such a rubbish actor playing him, came when the Fifth Doctor took over. There was something about Adric then that made him think he could walk all over the Doctor and still get into the TARDIS at the end of the adventure. Had he tried that with the Fourth Doctor, he would have probably been booted out, even if they were in space! Actor Matthew Waterhouse never looks comfortable in a scene with Baker, but I suppose he did try, which is the main thing. He still wasn't good though! What I do like about him here is that he is playing into that artful-dodger character used in his pitch, something which I imagine author, Johnny Byrne had seen before hand. He is cheeky and runs around picking locks with broaches. And he has a nice rapport with Nyssa. Which brings me to my next point. It is a little strange going back to re-visit Nyssa as this story was from way before Sarah Sutton reprised the role for Big Finish Audio. From her performance in this story, I wouldn't say that she was companion material. But lets remember that she was only intended to be a one-time character. As it was originally envisioned, Sarah Sutton would only appear in this story. But during the recording of the story, she caught the attention of producer John Nathan Turner, who offered her a job, making Nyssa a second companion. 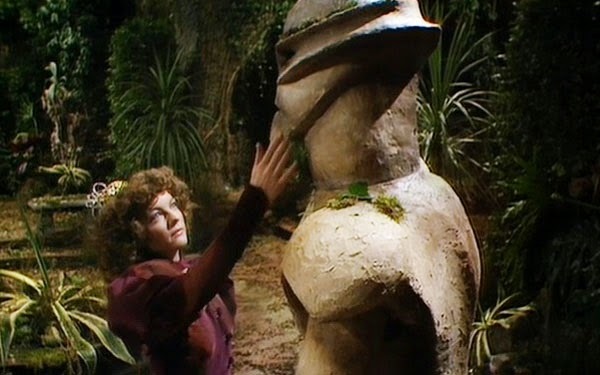 As such, the following story, Logopolis works better for Nyssa as a companion introduction story, here, she is forced to stand on the side lines a lot of the time, rather than getting stuck into the action like she does in Baker's swansong. But Sarah Sutton manages to acquit herself wonderfully. Sadly, like the rest of her television tenure, she isn't given much of the spotlight here, Sutton makes damn sure that she steals the limelight from the background. While Nyssa will never be a Warrior Woman from Traken, she really does manage to come in handy with an ion bonder, especially when the Master begins to tighten his grip on her friends. 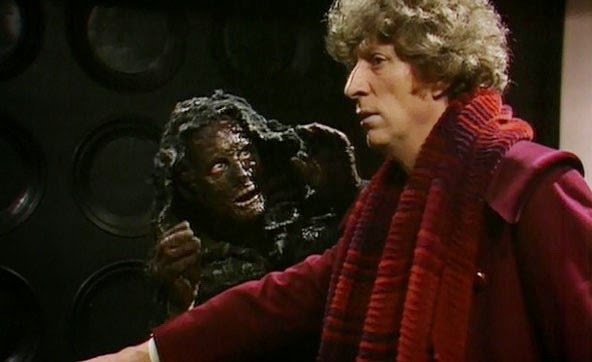 And to anyone who will moan about me revealing the Master is behind everything in this episode, then tough, this story is over 30 years old! This is perhaps the best appearance of the Master throughout the 1980s, with the character being really well woven into the story with both script editor Christopher H. Bidmead and author, Johnny Byrne, giving us the revelation at the best possible moment. The moment we realise that the Melkur is actually a TARDIS and the Master has been inside watching the events is one of the most satisfying revelations the show has ever given us. Episode four of this tale is easily the best with Byrne taking the Traken society he has spent a lot of time building up and twisting a knife in it, with the Master slowly turning the peaceful planet into a place of poison. Actor, Geoffrey Beavers manages to match the story's theatrical tone but is sadly nowhere near as scary as Peter Pratt from The Deadly Assassin. It is a shame though that we never got to see what Beavers might have brought to the show as the Master had he stayed on, luckily though, we are getting a look at his take on the role thanks to Big Finish!